Select the relevant event and you will be directed to a microsite specifically regarding that event where you can click the ‘Book Now’ link and complete a Delegate booking form. Once we have received your booking form we will confirm your attendance and send you regular updates until the date of the event. In the event that you are interested in becoming an event partner at one of our events we would ask that you complete an Information Request form. This can be found on the ‘Suppliers’ page of the relevant events’ site. Once this is submitted, a member of the event team will be in touch. For our Forums and Summits, delegate attendance is entirely complimentary. This includes your itinerary of meetings and seminars, plus meals and refreshments. There is no catch; delegates that meet the event criteria are hosted by the attending suppliers. For conferences, training and networking events there is a cost for delegates to attend. This is different for each event, so please visit the relevant website, or contact us for more information. We have a wide range of supplier packages available. We offer premium partner packages and additional sponsorship opportunities to maximise your presence, or we can create bespoke opportunities to best suit your needs. The main focus of our Forums and Summits is pre-arranged, face to face meetings between delegates and industry specific suppliers. There is ample opportunity to network with peers, attend topical seminars and update yourself with key knowledge and trends. Meetings are hosted at clearly labelled stands or booths, and as we pre-arrange your itinerary, all you need to do is make sure you are at the relevant stand/booth at your appointment time. Two-day events also include a gala dinner and overnight accommodation. Forum Events accepts no liability if you are unable to attend an event due to adverse weather conditions or any travel disruption. Forum Events makes every effort to negotiate free parking at all however, we reserve the right to use venues which may incur a car parking charge. Overnight accommodation will be provided on the evening of day one for two-day events along with dinner and breakfast. Your attendance at our events is free of charge; however, due to the fact that we restrict the number of attendees, a cancellation fee of £500 will apply should you cancel within a month of the date of the event and your organisation does not provide a suitable replacement. A cancellation fee of £500 will also apply if you do not keep to the itinerary planned or leave the event without good reason. We use the information you provide when booking onto an event only to complete that instruction and ensure that we maintain high levels of customer service. We will not use your information for anything other than this unless you have given express permission for your data to be used in that way. Forum Events reserves the right to film, record or photograph any of the speakers at an event for post event purposes, including marketing. To be excluded, we ask you make a member of the team aware upon registration at the event you are attending. Following the event, attendees should expect to receive an email requesting to complete a feedback form online. We would ask this is completed and returned to us within seven days to allow Forum Events to continue to improve and tailor future events more closely to your requirements. Should you have any general queries that you would like to discuss, please call us on 01992 374100 or email info’forumevents.co.uk. We are a voicemail-free zone during office hours, and you will be able to talk to a team member who will be delighted to assist you. In the event that you would like to exercise any of these rights, please contact Charles Williams. If you are unsure about Cookies, or just want to know more, please visit www.allaboutcookies.org. It is important that we get consent from customers to ensure that we are sending the correct and appropriate communications. By obtaining company and job title information, we are able to tailor communications so that contacts are able to receive information regarding relevant events and services we provide. We hold onto your consent so that we understand how much of our marketing materials and event information you would like to receive directly from us as well as specific consent regarding third parties. We don’t want to send you anything you don’t want, so should you just want to receive information solely from Forum Events and related brands and not third parties, we keep a detailed record of this and ensure that your information is never passed on to anyone else. We will never automatically opt you in and rely on you telling us that you wish to opt out. All consent requires an affirmative action on the customer’s part and the question as to whether you would like to be opted in will be asked in a clear and direct manner and the response recorded accordingly. When we obtain consent we then record in detail the method, time and date that consent was given. We store this in our Customer Relationship Management system so that any member of our company is able to see and understand the consent choices a data subject makes. We will seek to refresh this consent unless we are told otherwise. At the time that we request consent to send you correspondence from ourselves, we will also ask if you would like to receive information from carefully selected third parties. Any third parties we communicate with, will only be organisations that we believe would be of genuine interest to you as a data subject however, none of your information will be shared unless you as the subject, have given direct consent to be included in these communications. We will keep detailed records of this, so should you withdraw consent at any time, we will comply. Should you ever want to withdraw consent solely for third parties yet continue to receive information from Forum Events and its related brands, we can do this at any time. Under data protection legislation, you as a data subject have the right to withdraw consent at ANY time. In the event that you wish to do this, all you have to do is get in contact. We will then make a note of this on our system to ensure that any data is then dealt with according to the client’s wishes. Once consent is withdrawn, we retain the basic information for our reference however, we will make notes and adjust our system so that we are able to still see the client on the system but also will know that no further communication is to take place. By retaining this basic data, we can ensure that you will not be disturbed by any of our communications again. In the event that you decide that you would once again like to sign up to correspondence from Forum Events or any of our brands, we can easily re-adjust our system and reinstate consent. All that the subject will need to do is confirm their details and then once again, communications will be restored. In line with the General Data Protection Regulations, we have a disposal policy in place so that, should we need to, any data we collect is disposed of in a safe and secure manner. We do not store or use any sensitive personal information such as credit card information or medical information and will never store information that isn’t relevant to what we do, for example, gender, religious or racial information and sexual preference. What we store will only ever be used for the express purposes that the data subjects was originally obtained for and will not be passed on to any outside parties unless directly stated. We primarily store personal information on our CRM system, where we can manage contact with any of the data subjects whose data we hold however, on some occasions, it may be necessary to keep information in hard copy. This can happen when attending events, when working outside of the office or for easier processing between departments in the office however we have policies in place to ensure that, should these be the cases, data is protected no matter what the circumstances. When dealing with data on the CRM system, should people invoke their right to erasure and request that their data in its entirety is removed, we will ensure that no member of the company is able to view the information so that it disappears from the overall view as well as ensuring that data is removed from anywhere it can be stored without it actually being seen. This will be performed by our CRM company so that it can be removed from back up servers, emails and any other places that the data could end up. When dealing with hard copies of data, the handling of this data will be minimal however we want to ensure that any data that is kept in this manner is destroyed once it is no longer required and not left in an unsecure, unmonitored location. Within our office, we have shredders in place to ensure that any document containing personal data is removed, shredded and disposed of in a secure method.  We at Forum Events operate a retention policy when it comes to our data, this meaning that Forum Events can store any data collected for a limited time. Under the General Data Protection Regulations, Forum Events are able to decide how long exactly the period of data retention would be. We have determined that that will be a period of 40 years. After this period has passed, the data will be removed from all systems and locations that Forum Events occupy. Any data subject has rights when it comes to their data and should they invoke these rights, Forum Events are bound by law to comply. The right to erasure surrounds a subjects’ rights to their data and their ability to request that data is deleted in its entirety, at any time. Please see the ‘Right to Erasure’ policy for details of this right in detail. Under GDPR, every consumer has the right to know if, when and how an organisation is using their personal information. Under the new legislation, any data subject has the right to access their information free of charge however organisations also have the right to charge for, or refuse, any requests that are considered to be excessive or irrelevant. The reasons behind any refusals must be fully and clearly explained, while outlining their right to appeal the decision to the appropriate authority within a month. Anyone whose personal data is stored by an organisation, has the right to make alterations to the data if they discover that the information is incorrect or incomplete. While giving individuals greater quality control over their data, it also provides organisations with more accurate, and therefore, better quality data. If we have already disclosed that data in question to third parties, it is our responsibility to inform them of the changes. Just as data subjects can ask for their data to be deleted, they can also ask for their information to no longer be processed. It is important to note that a request to stop processing an individuals’ data does not mean the information must be deleted. It can be stored, but no longer processed. Used in cases when someone gets in contact to object to the use of their data for marketing purposes. In the event that this happens, processing must cease immediately. Allows individuals to obtain their personal data and reuse it elsewhere if they wish. Organisations are obliged to comply with requests and must be provided in a commonly used and readable format. Under the new GDPR, data subjects have new rights that will enable greater control over the use of their personal data. One of these rights has the official title of ‘The Right to Erasure’. This means that any data subject has the right to request that their data be forgotten at any time and the data controller/ processor has to comply in accordance with Article 17 of the GDPR. Forum Events wants to ensure that all data subjects are comfortable with how their data is stored and handled so if, as a customer, you choose to withdraw your data in its entirety, we will comply. When it comes to how we, Forum Events, operate, we rely a lot on making professional connections, both online and in person and whilst we will only retain information with the subjects’ express consent, in the event that you no longer wish to be contacted and want us to remove all information from our systems, there may be a risk that at a later date, another connection will be attempted. In the event that a data subject no longer wishes to be contacted by Forum Events, we keep a record on our system of this opt out and ensure that contact information is removed from any marketing and mailing lists that we possess. Our current method of operation is, in order to ensure that once opted out a request to connect is not sent again at a later date or by a different manager in charge of a separate event, is store basic contact details in a separate area of our Customer Relationship Management system with a note to guarantee no contact will take place again and will never be used for any other reason. In the event that a data subject would like to withdraw all information from our records in line with the Right to Erasure, we will comply and remove every trace of any data belonging to the subject from our system, however due to the way Forum Events operates, if we are unable to keep a record of those that no longer wish to be contacted, we cannot guarantee that at a later date another connection will not be attempted. AFTER READING THIS POLICY, PLEASE CONFIRM TO A MEMBER OF STAFF, EITHER VERBALLY OR IN WRITING, THAT YOU ARE HAPPY WITH EVERYTHING OUTLINED IN THIS POLICY AND WHETHER YOU WISH TO CONTINUE TO INVOKE YOUR RIGHT TO ERASURE. THANK YOU. A subject access request is something that can be submitted by a data subject in order to request a copy of any and all information that the organisation possesses regarding the specific data subject. Fees – Under the DPA there was a small fee when submitting a request to an organisation however, after 25th May 2018, organisations will not be able to charge for complying with a request. Electronic access – it must be possible to make requests electronically (e.g. by email). Where a request is made electronically, the information should be provided in the same format unless otherwise requested by the individual. Content of response – the request should allow the individual to know what information is held about them and what processing is being carried out. In responding to a request, data controllers may need to provide further information such as the relevant data retention period and the right to have inaccurate data corrected as well as verify the identity of the person requesting by using ‘reasonable means’. Time to respond – the data controller must respond to these requests within a month. Fee – an organisation will not be able to charge for complying with a request UNLESS the request is ‘manifestly unfounded or excessive’. The data controller may also charge a reasonable administrative-cost fee if further copies are requested. Excessive requests – if a request is ‘manifestly unfounded or excessive’ data controllers can also refuse to respond but will need to be able to provide evidence of how the conclusion that the request is manifestly unfounded or excessive was reached. Time to respond – there is a possibility to extend the response period for particularly complex requests but again, it will be down to the data controller to argue the case. Right to withhold – data controllers can withhold personal data if disclosing it would ‘adversely affect the rights and freedoms of others’. When we as an organisation choose to refuse to respond to a request, we must explain why to the individual, informing them of their right to complain to the supervisory authority and to a judicial remedy without undue delay and at the latest within one month. When attending our event as a Delegate, we detail on our booking form how contact details will be passed on to the relevant suppliers attending the event in order to ensure provision of services i.e. arrangement of networking meetings with the correct and pertinent companies. We do associate with other data companies and do both obtain data from and sell our data to other companies providing we have the right approval and consent. In the event that we share our data only Name, Job Title, Organisation & Contact Information will be divulged. The consent that we obtain by agreeing to the terms and conditions on our booking form is consent solely to share information with those suppliers attending the said event. Just by agreeing to these terms DOES NOT mean that your personal data will automatically be included in any other third-party use of data. We will not do this until this form of consent has been obtained and recorded. In the event that we begin communicating with you, we will always ask whether you would like to give to your consent to future communications, both from Forum Events and relevant brands as well as third parties. We will then keep a record of this on our systems to ensure that you only receive the correct correspondence. We will never discuss or divulge your information unless express consent has been obtained. When third parties enquire about our data, we will never send a sample of the data before selling post the introduction of GDPR, in order to make sure that data protection is maintained. We will not de dupe data with a third-party company without said company completing the ‘Supplier GDPR Compliance Questionnaire’ whereby we request a guarantee that the company has permission to share data with a third party. In the event that this isn’t done, data will not be shared.